Founded by James Harrower in 2016, James Derby was created in London with one simple mission. 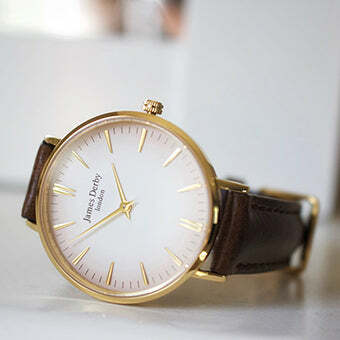 To create stylish, refined, fashionable and innovatively designed affordable watches. 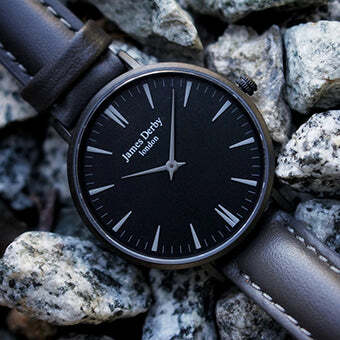 James has always been intrigued and fascinated by the style and sophistication that the right watch can bring, but has never found the right mix of affordable style and charm, so he decided to create it himself. The right watch is much more than just a timepiece; it expresses who you are. Whether you are in a bar, at work, a formal event or even at the beach, your watch should be suitable for all occasions and it was for this reason that James Derby was born. Each timepiece we produce represents what we stand for with performance, charm, excitement and prestige coming together to create unique designs. The high level of quality and excellence required from a modern day watch is paramount, which is why we have kept our collections small so we can ensure perfection across every single watch that we produce. From design of the watch or box, all the way through to delivery, we strive for excellence and nothing less. We never compromise on quality or precision. A major part of our brand is our connection with London. 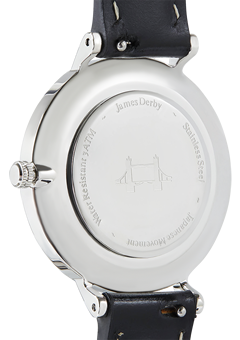 James Derby was established in London and is also based in the city. The ethos behind a lot of the designs for our watches comes from inspiration from being in and around the city. It is partly for this reason that the iconic London Bridge is our brand symbol and each watch we produce signifies this. Free UK delivery, Free UK returns and a two-year warranty are all important elements of the experience that we wish to bring all of our customers. It is also important to us that we have an opportunity to connect with our customers, which is why we have our social channels set up in such a way that anyone can talk to us. As a means of introduction to James Derby, you can also sign up to our newsletter. Here you will receive updates on any new designs, products or any sales we have in place. One other element important to us is customer safety. We have documented our cookie and privacy policies, terms and conditions and our delivery and returns policies so our customers can see all the information they need before they purchase anything from us. The team went through a lot of designs; colours and options to produce the design we have today. The black or white background choices keep the design simple yet stylish. Having a double hour marker at twelve and six kept the design unique, as does the grey fading on the outside of the white background watches. Our unique design of the hands and the placement of the logo kept the design refined. With these design features decided upon, we had managed to achieve our design goals without the watch looking ostentatious; boring; complicated or bulky. Even though the watch face has many elements to it, designing the crown was the area that split our designers the most. We went through numerous variations until the final design was confirmed. Our team considered various widths and lengths; smooth or with a grip; type of grip and the design of the grip. The result ticked the four boxes we were looking for. 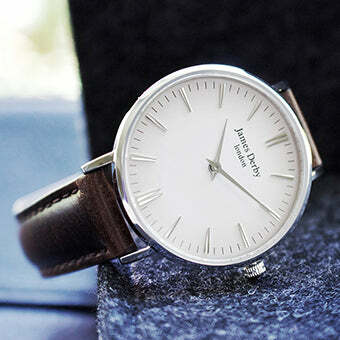 Made of stainless steel, the watch casing has been design to be simple; light and durable. When it came to the back of the watch, we settled on two designs. One with the James Derby name and another with the James Derby tower bridge icon. 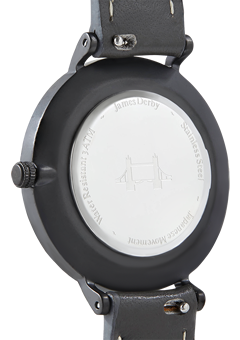 In the end it was an easy decision, the tower bridge icon gives the overall design a more refined feel which in addition suits the James Derby brand perfectly. All of our straps come with a quick release button so you can change the strap in seconds. This means you can buy various straps and change it with each outfit, essentially giving you a new watch each time you go out. We are adding new variations all the time so please make a suggestion if you have a good idea for one. Our content hub is for fashion bloggers and influencers to write about trends and interesting style news that you may be interested in. We try to make it relevant to our collections where possible, but ultimately it is a hub for the latest fashion and style trends. To speak to us about contributing; any issues or concerns with any content; or even to make a request for a certain topic to be covered, please send us a message via our contact form.